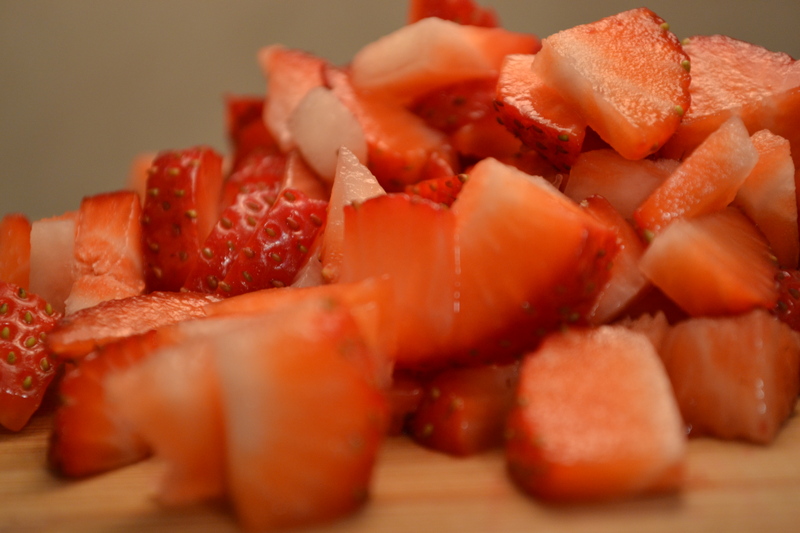 Its the time of the year, where everything you see around you is blooming with life, and you would want to celebrate the change of season in some way or other, even by making a simple strawberry cream-cheese pie. 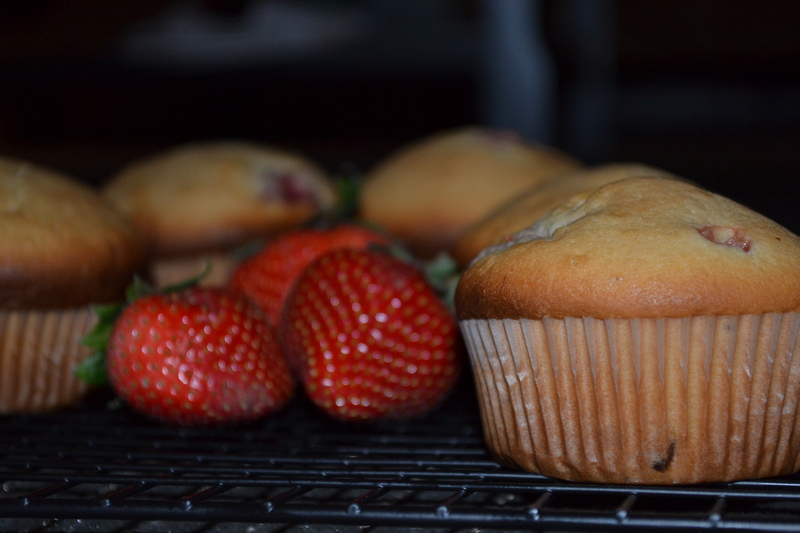 I got these lovely strawberries intending to make a chocolate strawberry cheese pie, instead got lazy and they turned into lovely strawberry muffins. You will need two bowls, one to mix the wet items and dry items. 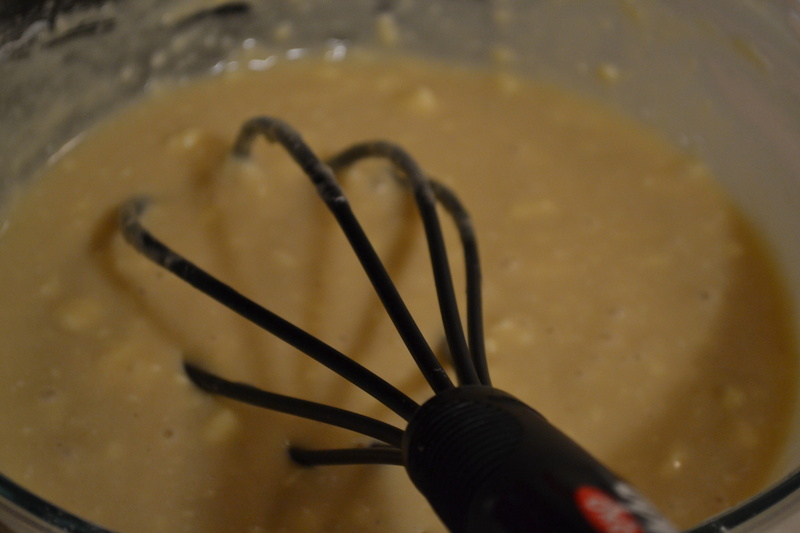 Mix all the wet ingredients thoroughly until it is fluffy and the mix is opaque and thick. Mix together the dry items and slowly add the dry mix to the wet ingredients. 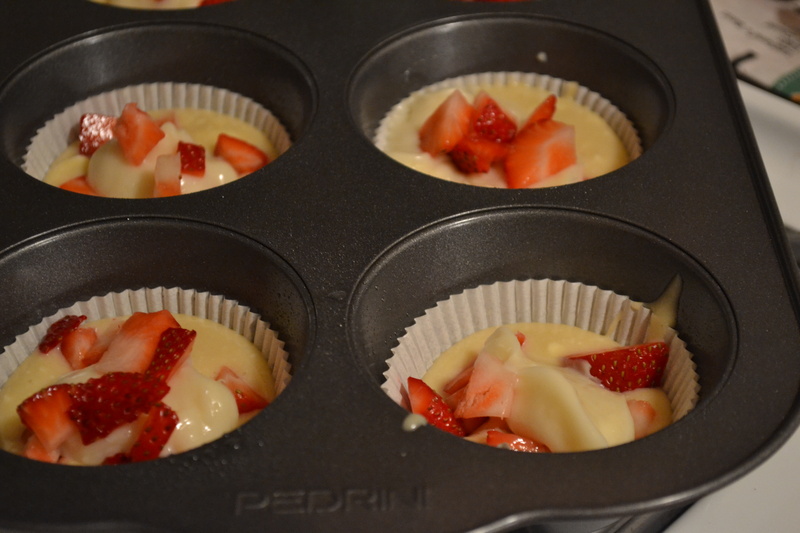 Mix gently until all the flour is completely incorporated and finally add the chopped strawberry and fold together. The mix will be really thick, mostly like a cookie dough. 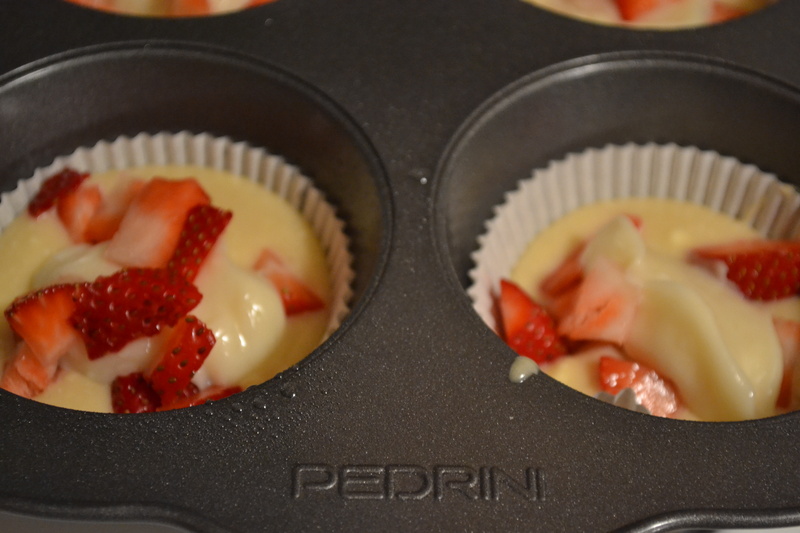 Preheat the oven to 350C and put the mixture to muffin pans and bake for 25 minutes. 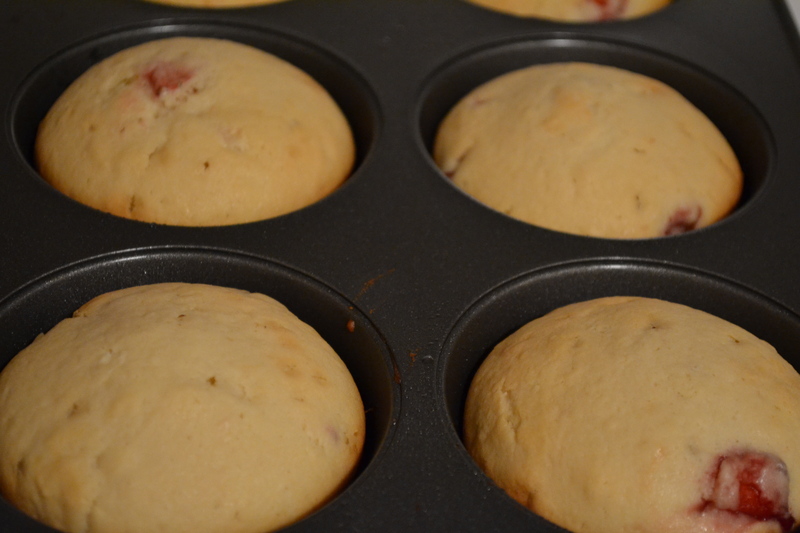 Cool the muffins completely for an hour and serve with jam or butter. 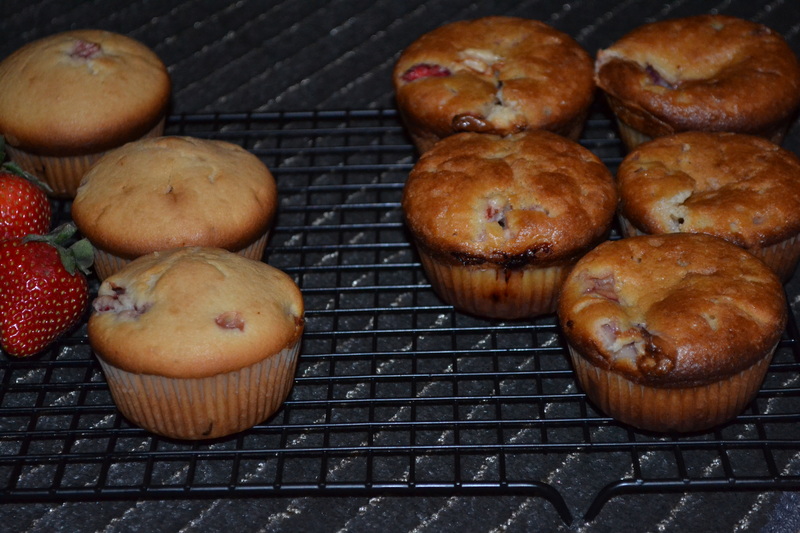 Oh..wondering why there are 2 different kinds of muffins, because the ones on the right, golden browned are the result of an experiment recipe… They are made with the same batter and filling, but put together a bit differently… in case you are interested… First i started off by filling only 1/2 the muffin cup with batter, then strawberries, and a tsp of the cream-cheese filling ( prepared by whisking together 1/4 cup of with cream cheese + 1/4 cup sugar + vanilla extract) and add a tsp of the filling. 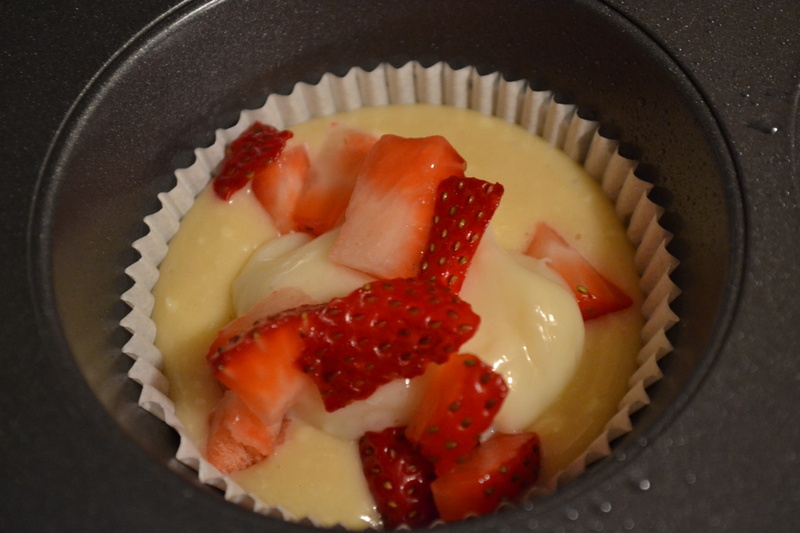 Top it with about 2 tbps of batter and finally decorate with strawberries. 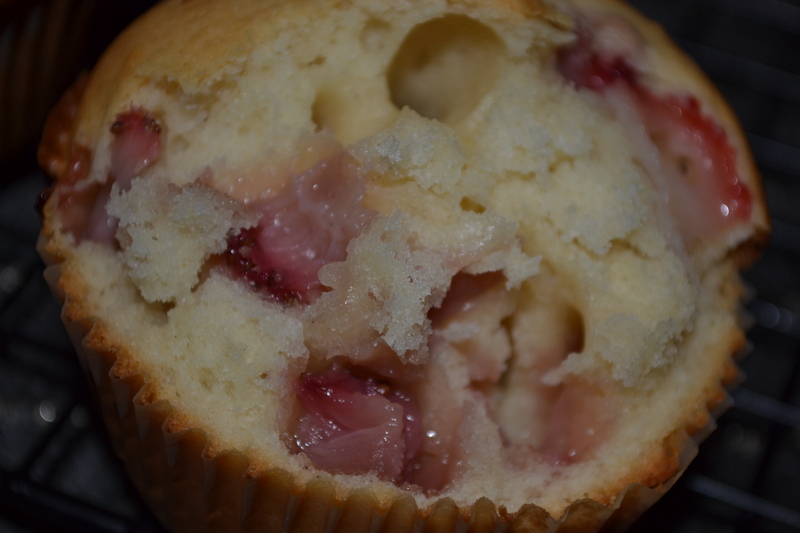 The problem with this recipe is that I could never find whether the muffins were really done, and they were in the oven for about 40-45 mins, and hence why they got browned a bit more, and the inside was kinda soggy and punctured…. we of course, the cream-cheese filling will not give any stiffness to the muffin, but I was a little disappointed with this batch, hence for the next batch, I mixed in the cream-cheese filling into the muffin mix, and that gave me the pale-yellow golden color yet soft and a consistent texture overall. I loved the second batch more. I am not sure whether the results of the first technique is really what I should expect, but the pics look lovely, arent they?